Aerospace Processing India Pvt Ltd (API) is a joint venture between Aequs and Magellan Aerospace. The company provides aerospace surface treatments that are not readily available in India. 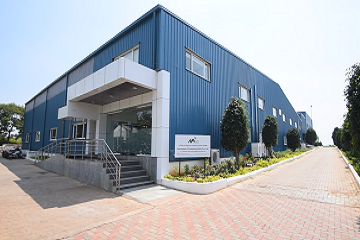 The fully integrated, scalable facility is located at Aequs SEZ in Belagavi, Karnataka, India and has been fully functional since 2009. This is the first and only third party facility in India be approved by both Airbus and Boeing. API was the first in India to achieve NADCAP accreditation for Chemical Processing, Surface Enhancement and NDT, which is widely demanded across the aerospace industry. API is also AS9100 Rev D and ISO 14001-2004 & BS OHSAS 18001:2007 certified.